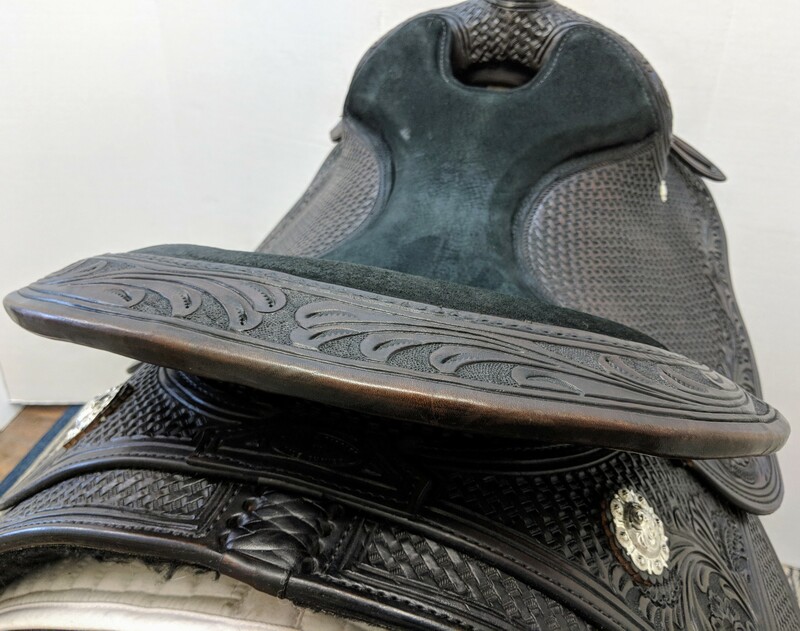 Pristine condition, with no visible flaws or wear. 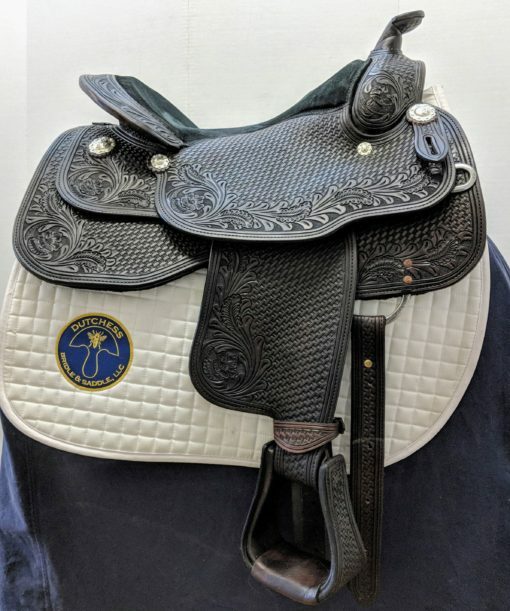 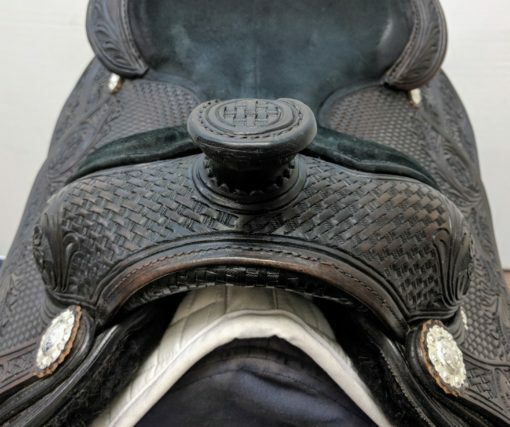 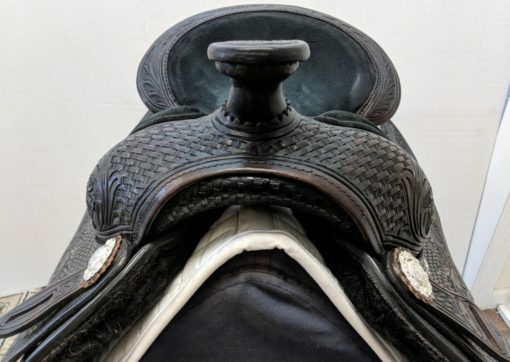 This saddle has been ridden in only twice since purchase. The leather is a rich, dark oil with an exquisite, hand-tooled basket and floral pattern, black suede seat, and black fleece under skirting. Butterfly skirts allow for a close-contact feel under the fender. 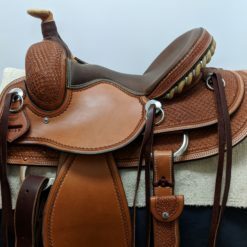 This saddle is also fairly lightweight at just under 30 lbs. 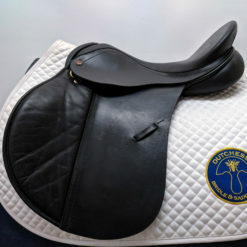 Suitable for showing, pleasure, and equitation! 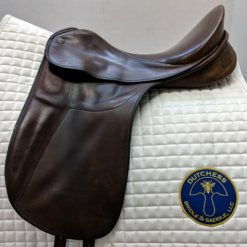 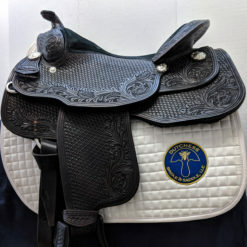 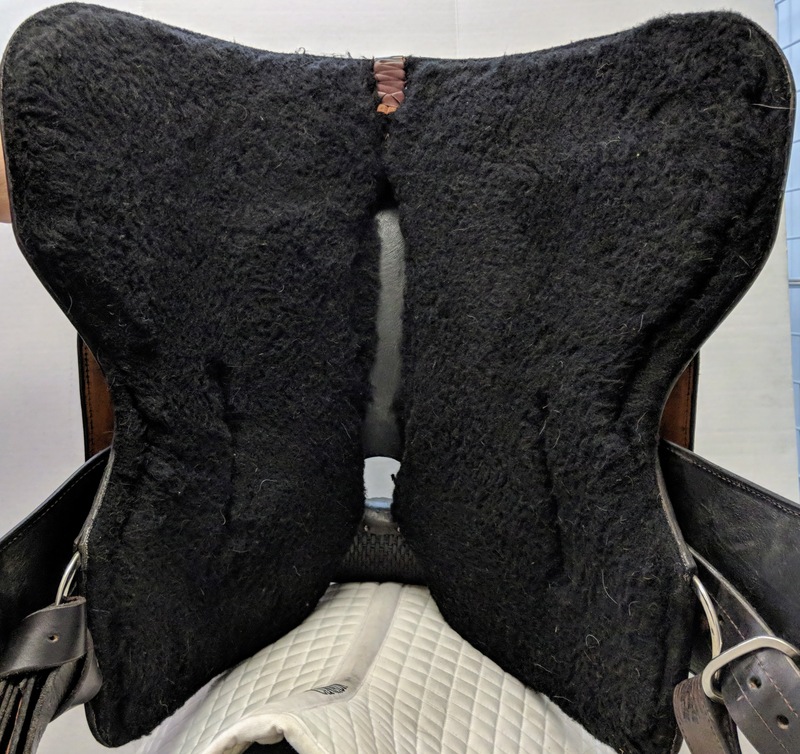 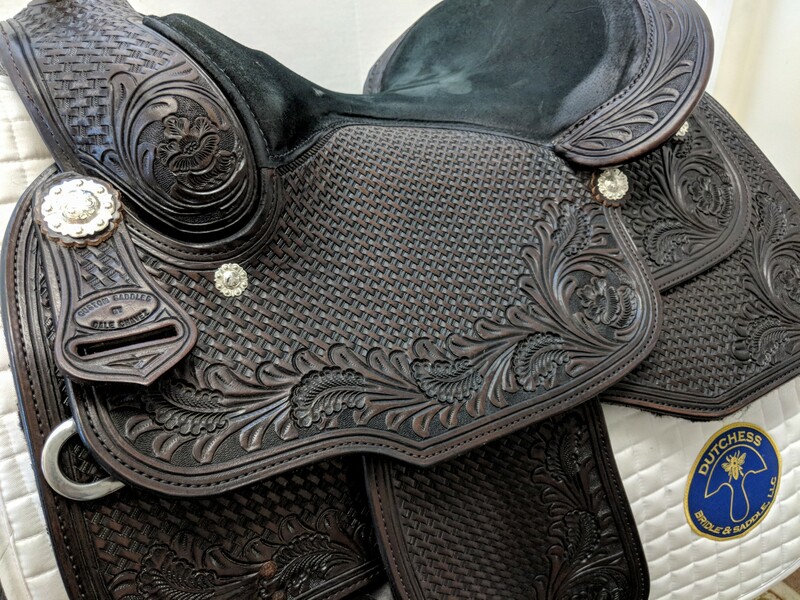 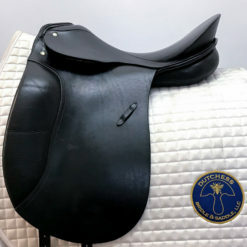 Horse Fit Description: This saddle would fit a moderately wide wither with a flatter pitch such as Quarter Horses, Arabs, and Morgans. 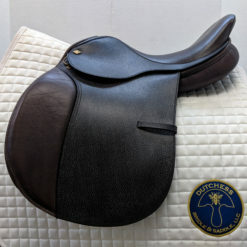 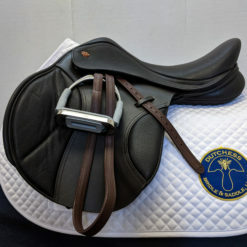 Rider Description: This saddle offers a level seat ideal for an equitation or pleasure rider.